Comfortable, easy-to-play traditionally shaped harmonica. 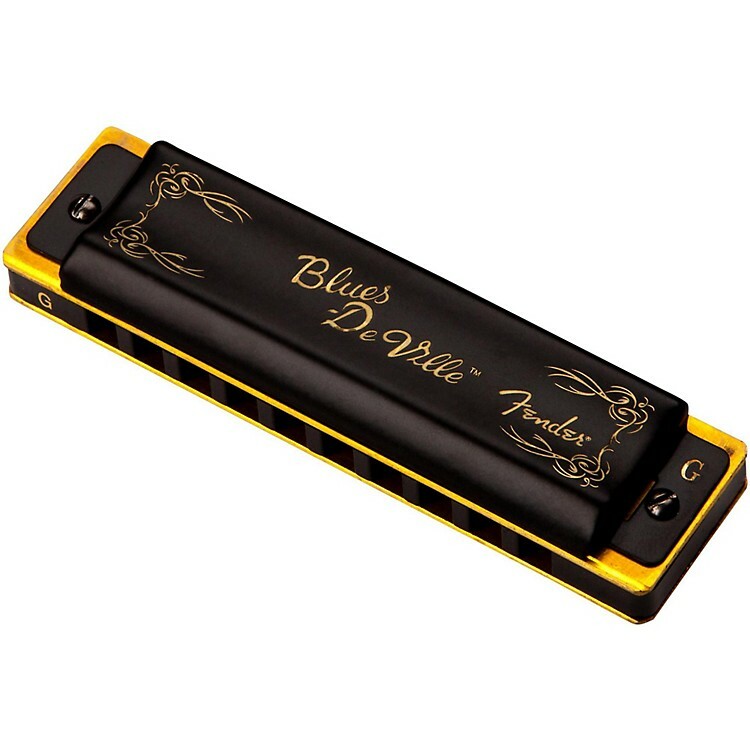 The Fender Blues Deville harmonica is designed to sound as good as the Fender brand name would suggest. Its richer tone and pitch is made possible with a molded PVC comb and precision phosphor bronze reeds. Traditional shape and black satin covers will make your harmonica look as good as it sounds. Reed plates are also replaceable. Includes vented hard plastic case. Available in seven keys: C, G, A, D, F, E, and Bb.